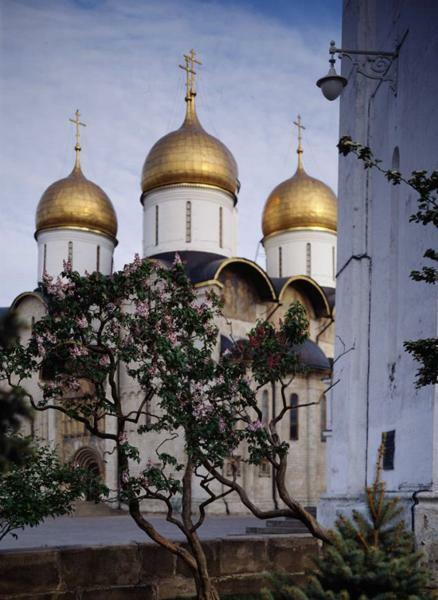 The Assumption (Uspensky) Cathedral is situated at the Cathedral Square, which is encircled by outstanding specimens of Old Russian architecture: cathedrals and churches, the Ivan the Great Bell-Tower, the Facets Palace and the Patriarch’s Palace. The cathedral is dedicated to the Feast of the Dormition of the Theotokos and Ever-Virgin Mary and was built as the principal church of the Russian state. In 1326, the first Moscow Metropolitan Peter ordered the metropolitan quarters to be relocated from Vladimir to Moscow. Currently, Grand Prince of Muscovy Ivan Kalita ("Money-bag") launched the construction of the cathedral. A new building was constructed in 1479 by decree of Grand Prince of Russia Ivan III, who consolidated all Russian princedoms under the power of Moscow. A renowned architect Aristotele Fioravanti of Bologna was invited to Russia to design and to build it. 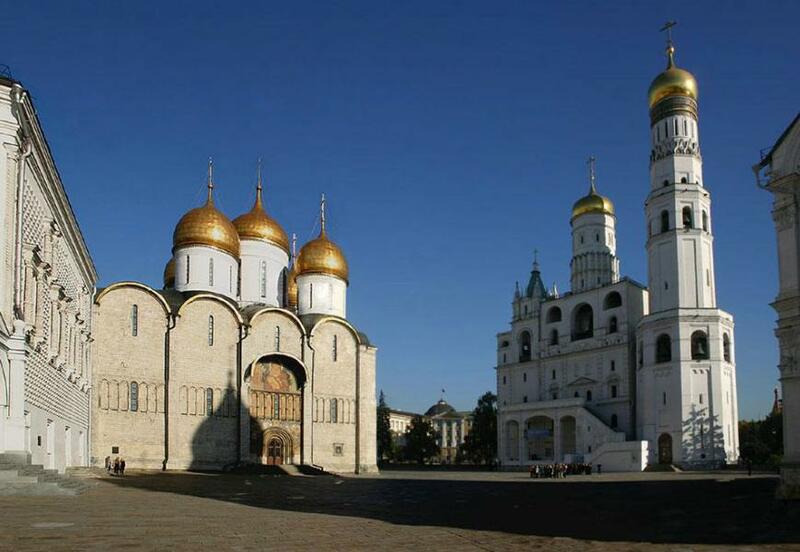 For six centuries the Assumption Cathedral has been the national and religious centre of Russia: grand princes were set for reigning, Tsars were crowned and Emperors were coronated there. Besides, bishops, metropolitans and patriarchs were inaugurated; tsar’s decrees and statements were declared; church services for successful military campaigns and thanksgiving services were held there. The cathedral has become a burial place of Russian Holy Hierarchs - metropolitans and patriarchs of the 14th – 17th centuries. 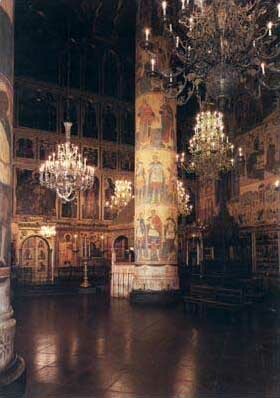 In particular, there are precious shrines with the relics of Moscow wonder-workers Peter, Jonah, Philip and Hermogenes in the cathedral. Considered to be the principal church of Russia, the cathedral surpassed all the earlier churches both in size and splendour of its interior. Outstanding painters from all over the country were invited to paint walls and icons in the cathedral. Eventually, it gained rich and truly a unique collection of Russian medieval art monuments, which has been carefully maintained and multiplied over the centuries. After the Revolution of 1917, the Assumption Cathedral was turned into a museum. Creating an exposition of the temple, the staff tried to retain its interior. Due to constant restoration works, almost all the icons and murals were uncovered from under the later paintings. 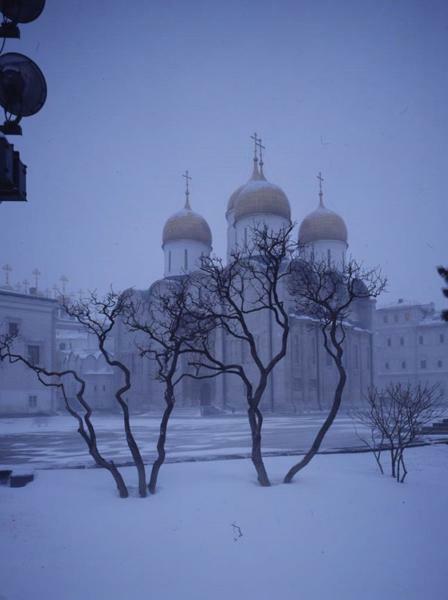 From 1990 onwards, divine services were resumed in the Assumption Cathedral.